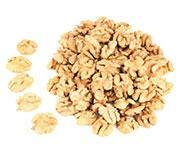 “NIK” is a Ukrainian manufacturer and the direct supplier of walnut kernels since 2005. Our company offers and sells only certified produce. Quality control is carried out under laboratory conditions in accordance with international standards. To ensure the high safety level of our produce, we act in compliance with the recommendations of Codex Alimentarius. NIK is able to offer the best value deals for our clients, high production capacity and on-time completion of each order. We prepare kernels of all styles (sizing) and classes, mixes with any percent composition, taking into account all wishes of the client. Cherkasy region, Shpola, 4 Lebedynska Str.